In a comment letter submitted to the Texas Commission on Environmental Quality, Bayou City Waterkeeper opposes a proposed amendment to the City of South Houston’s wastewater treatment permit. If approved, the amendment will remove the facility’s current limits on the disposal of mercury into Berry Bayou, which feeds into Sims Bayou, the Houston Ship Channel, and Galveston Bay. Mercury is a toxic substance that may irreversibly damage human health and the health of fish, shellfish, and birds. Removing all safeguards on mercury disposal offers real cause for concern; nearly 170,000 residents live within three miles of the South Houston facility, and birds, including osprey, have been observed eating fish within the area. 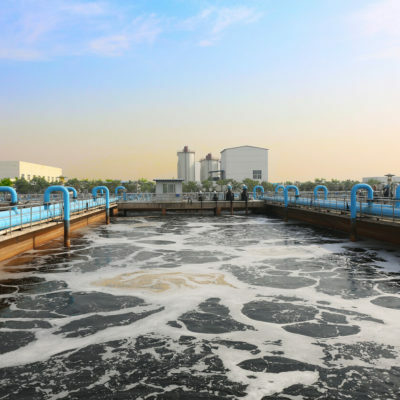 The City discharges wastewater into waters that already have been deemed as “impaired” by the TCEQ due to high levels of bacteria and other pollutants including PCBs and dioxins. According to basic common sense, the “impaired” status of these waters calls for tighter, not looser, restrictions on toxic substances like mercury. The City relied on its past compliance history, which was based on an insufficiently sensitive testing procedure, to justify the proposed amendment. Once corrected, the City’s tests reportedly detected mercury at its facility. The TCEQ’s own sampling in December 2014 also reportedly identified mercury levels at seventeen times the permissible limit. In light of these and other concerns, Bayou City Waterkeeper has asked the TCEQ to reevaluate the proposed amendment and maintain a limit on the disposal of mercury. Alternatively, the organization asks the TCEQ to require the facility to continue to sample for mercury to ensure that the facility does not improperly dispose of mercury. Members of the public may provide comments to the proposed amendment tonight at 7pm at the South Houston Community Center, located at 1007 State Street, South Houston, Texas 77587. Read Bayou City Waterkeeper’s comment letter here.